An ex-football player is brutally murdered. A famous ballet dancer inexplicably commits suicide. The only link between the two deaths is Roger Peterson, a famous psychiatrist with secrets that will destroy his reputation. When the doctor hires Toronto private investigators Samantha McNamara and Reece Hash to prove his innocence, a ruthless killer thrusts them into a terrifying nightmare. 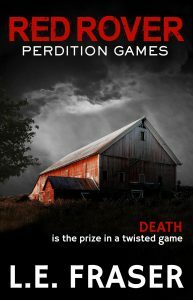 To expose the truth, Sam and Reece must outwit a psychopath whose greatest pleasure is the game. The rules are simple: trust no one and stay alive.